For all ENT medical practice needs, Auxo Medical provides the necessary cabinetry for ears, nose, and throat personnel. Specifically designed for easy accessibility and portability, these cabinets will help keep your instruments and equipment sterile and organized. Auxo Medical offers cabinets with lockable, mobile casters that have the capacity to move and support all necessary instruments and equipment for diagnostics and minor procedures. 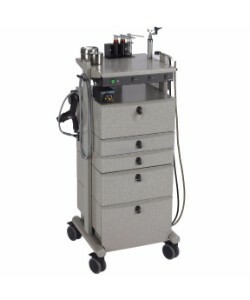 Built from solid steel, with features including an endosoak system, fiber optic lights, suction and pressure pumps, these durable, state-of-the-art ENT carts offer everything your facility needs to maintain operations and top quality patient care. Ready when you need to be, Auxo Medical understands how important mobility is when dealing with ENT services and procedures.